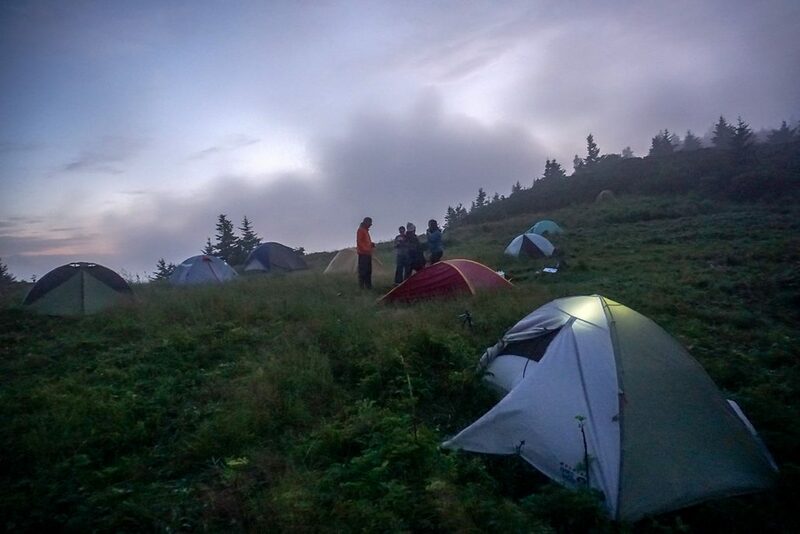 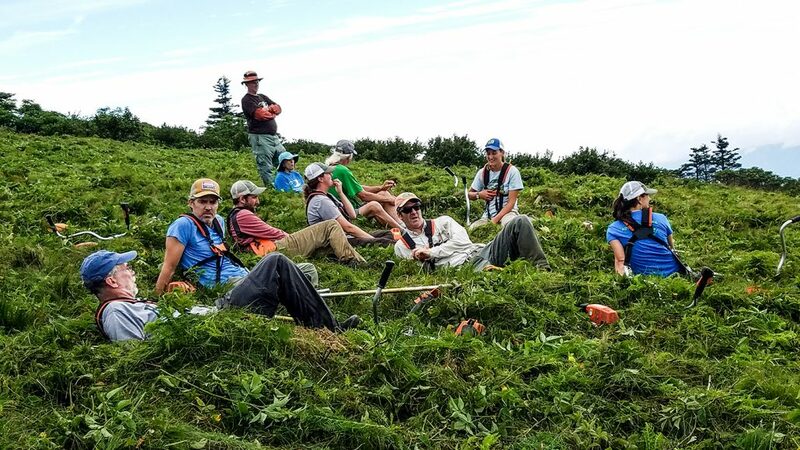 It takes a village to care for our mountains, and SAHC, our partners, and volunteers certainly made that happen this summer. 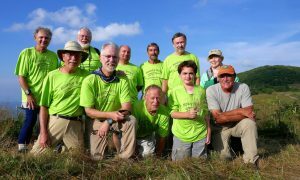 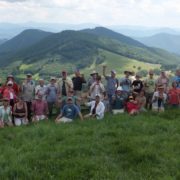 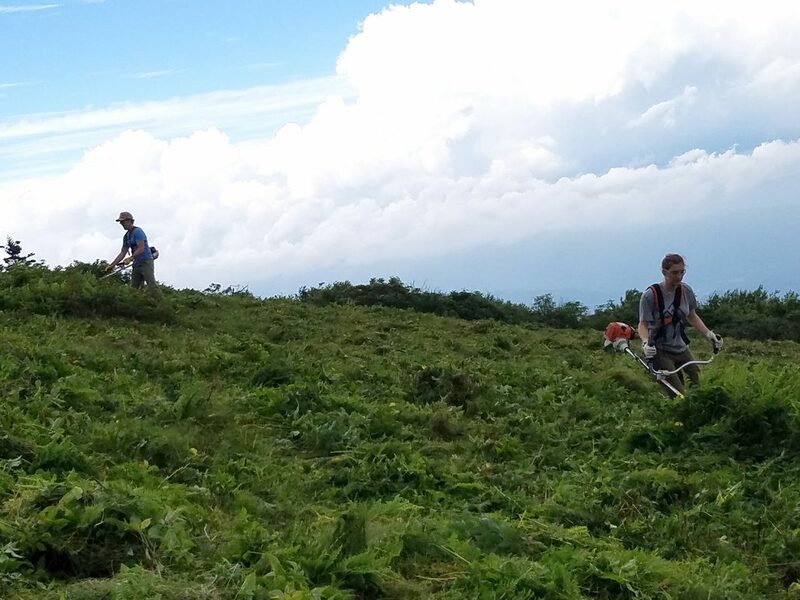 In less than four days of work, more than 25 volunteers cut blackberry from about seven acres of grassy and shrub bald habitat during our annual Grassy Ridge Mow-Off and Roany Boyz stewardship events. 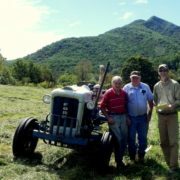 A big thank you to all the folks who came out to mow, to rake, to cook, and to photograph these events. 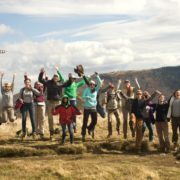 They simply wouldn’t happen without you! We would like to give a special thanks to the NC BRIDGE crew this year. 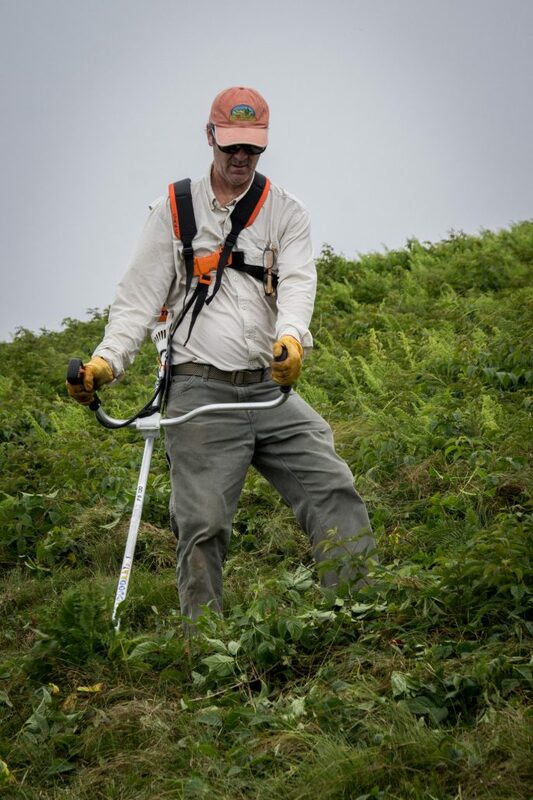 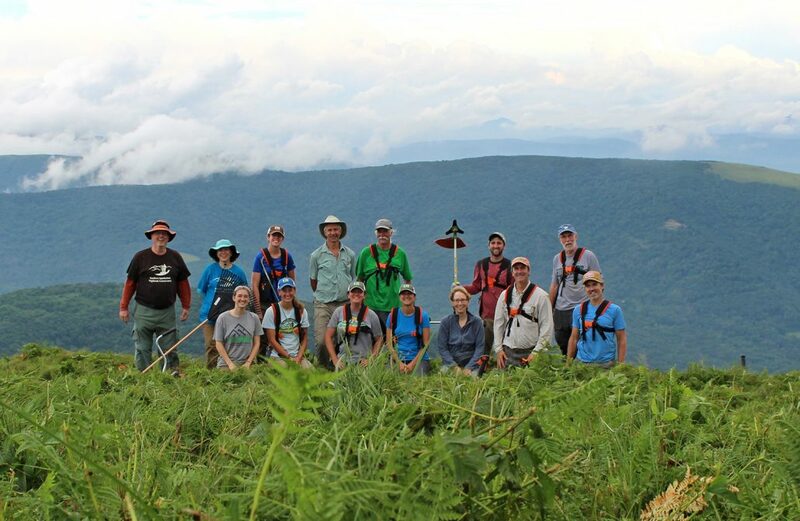 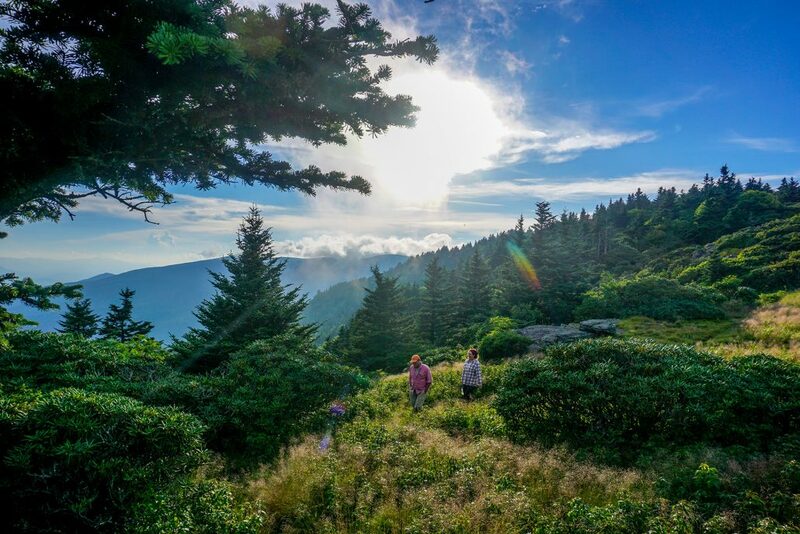 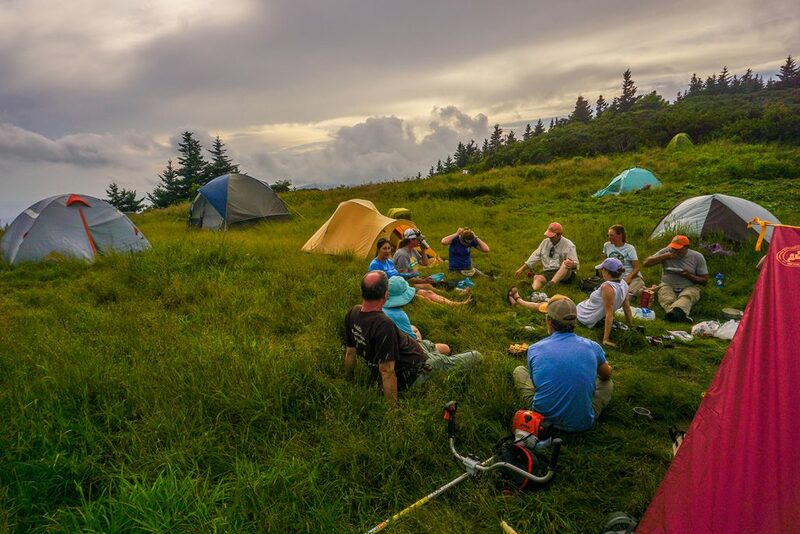 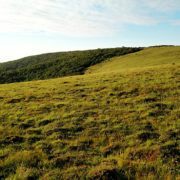 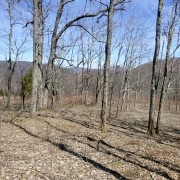 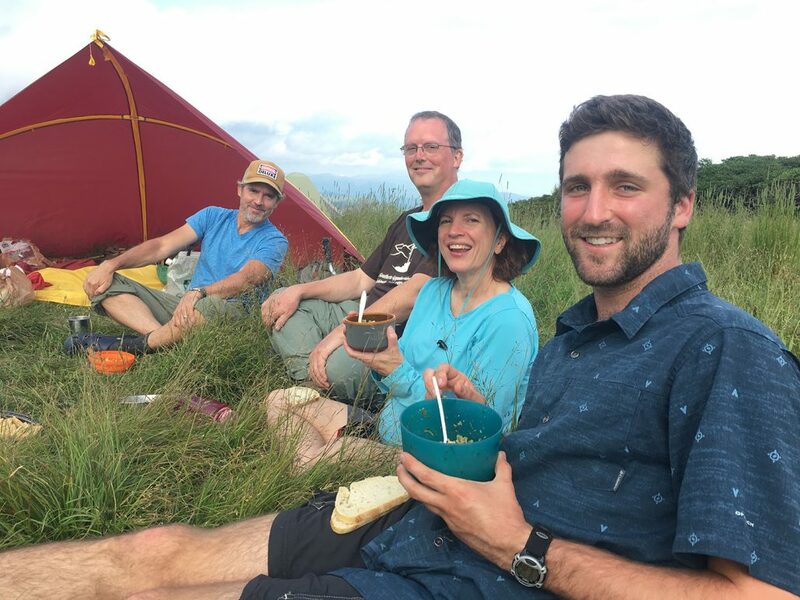 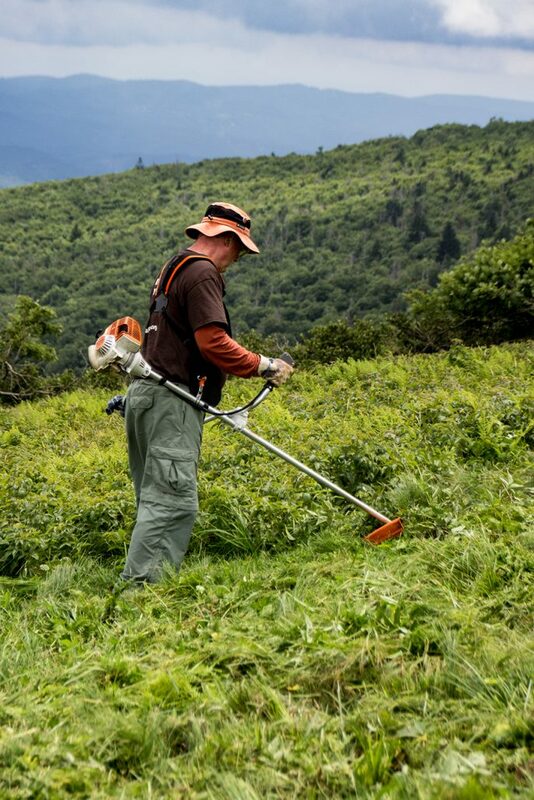 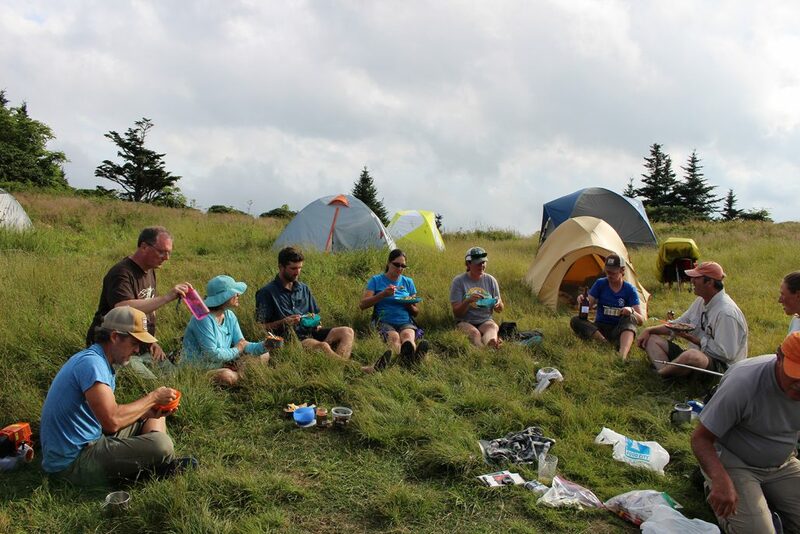 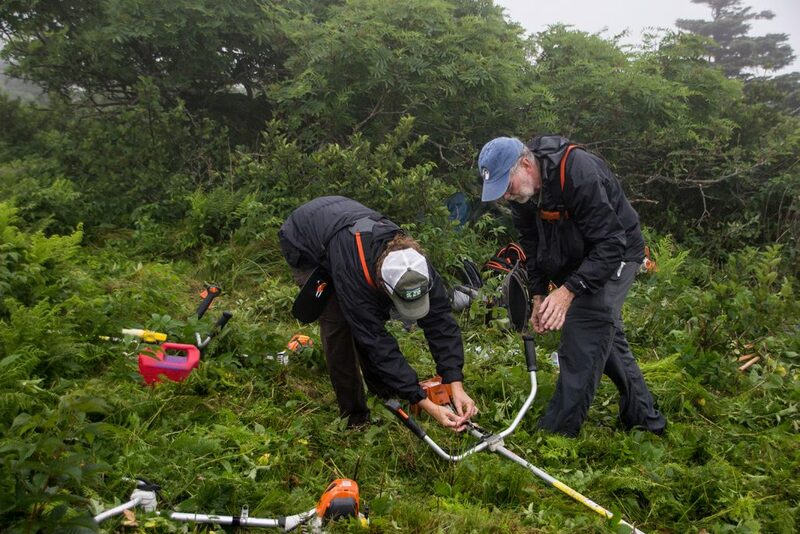 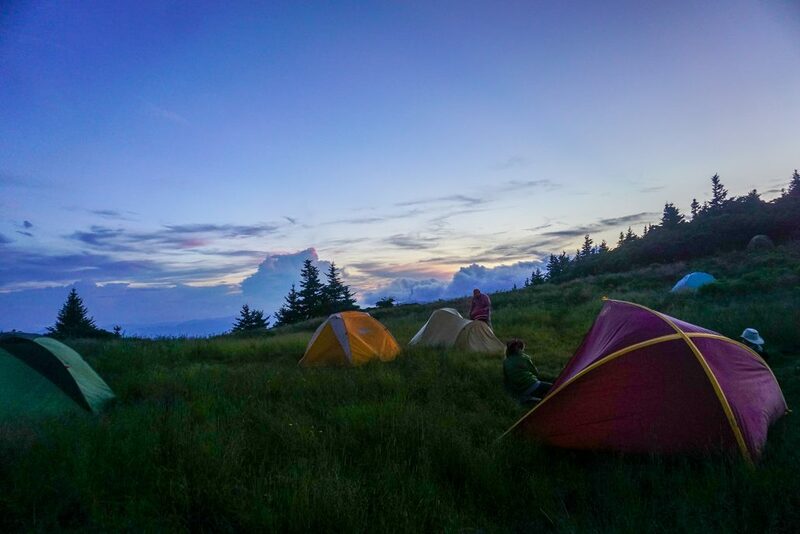 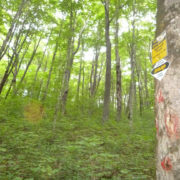 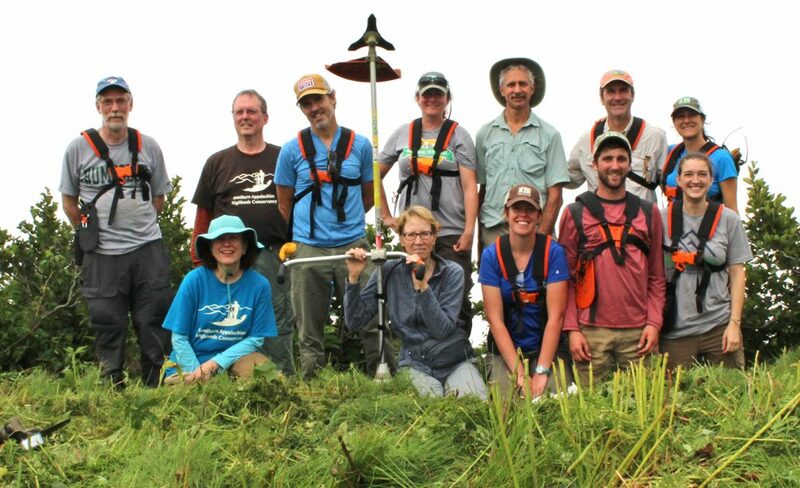 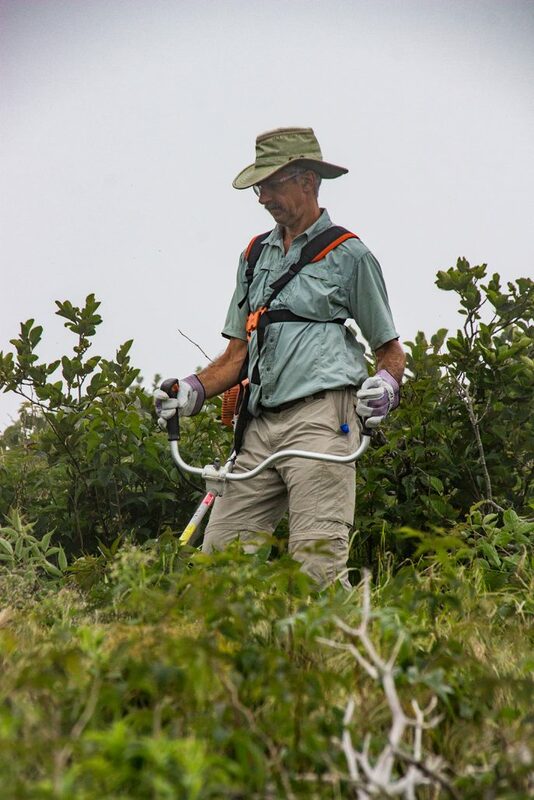 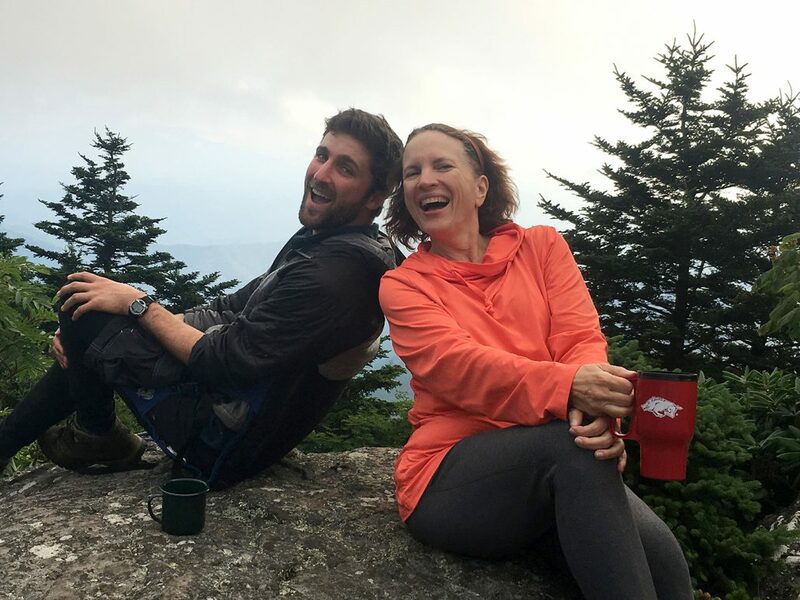 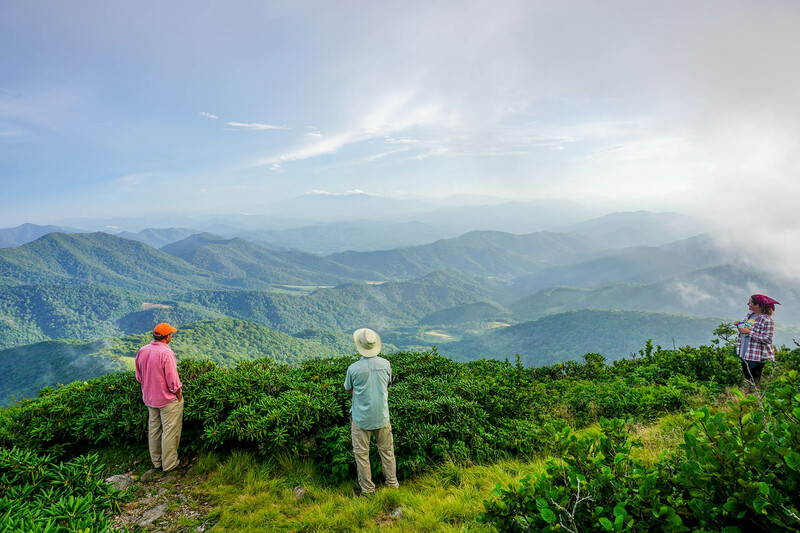 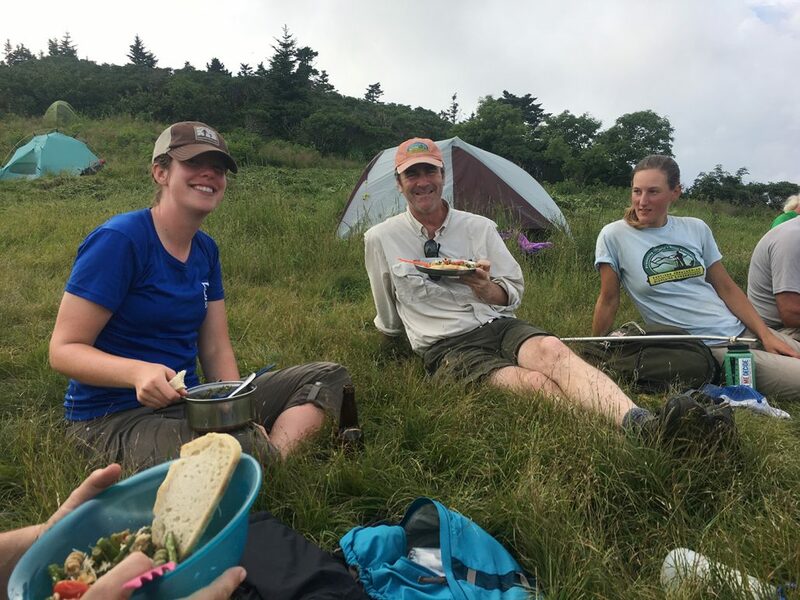 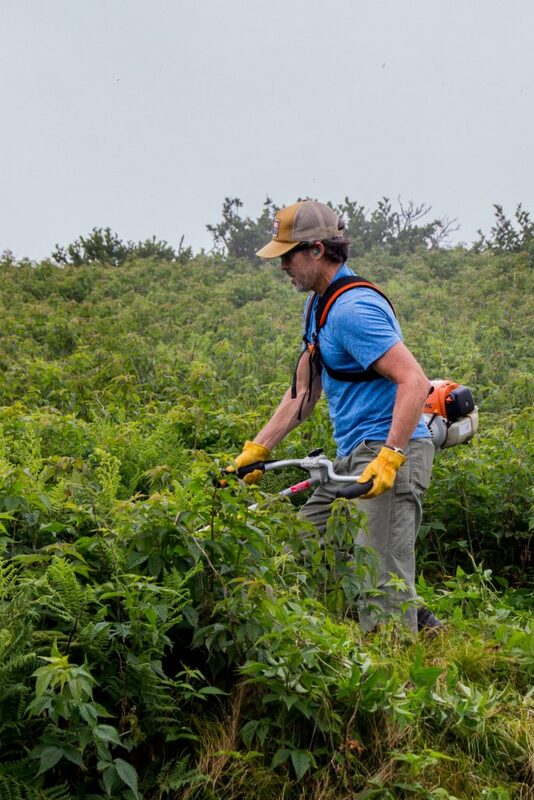 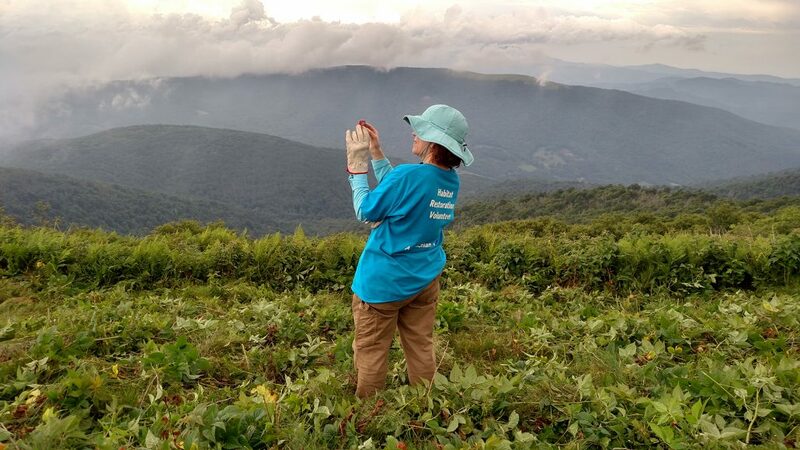 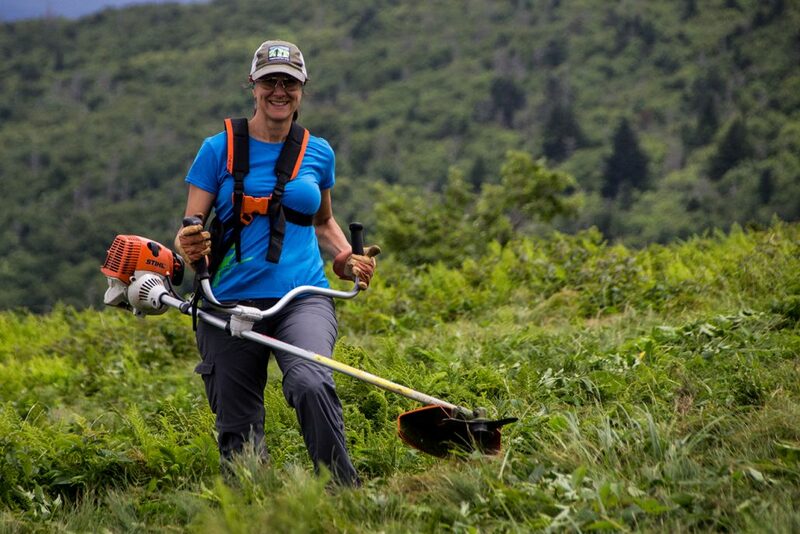 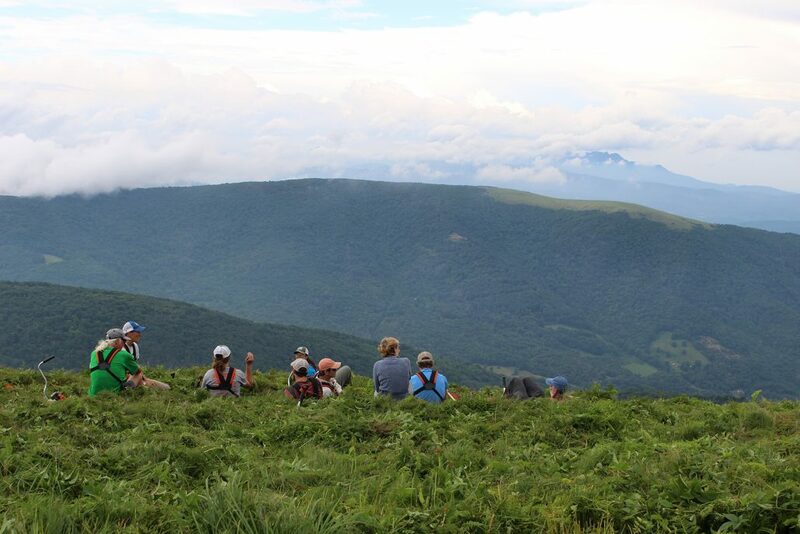 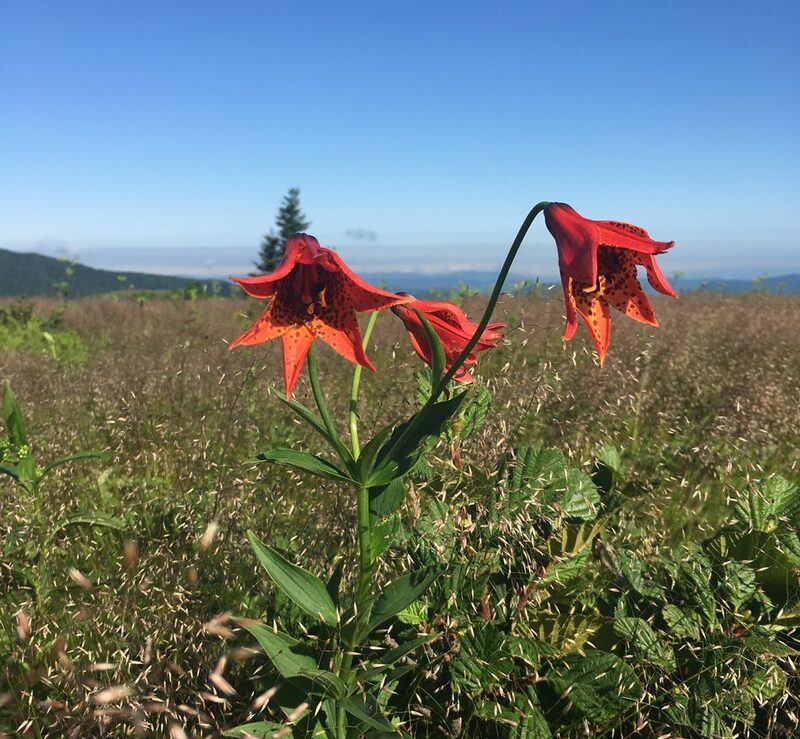 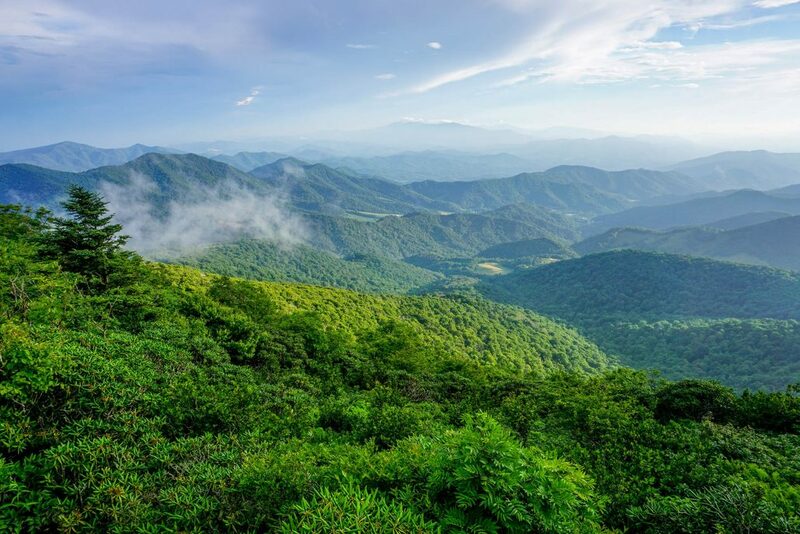 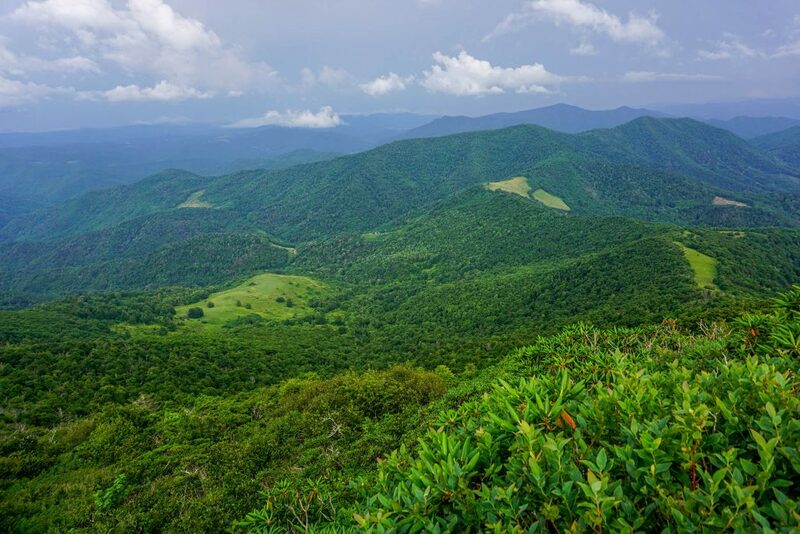 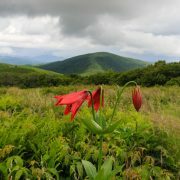 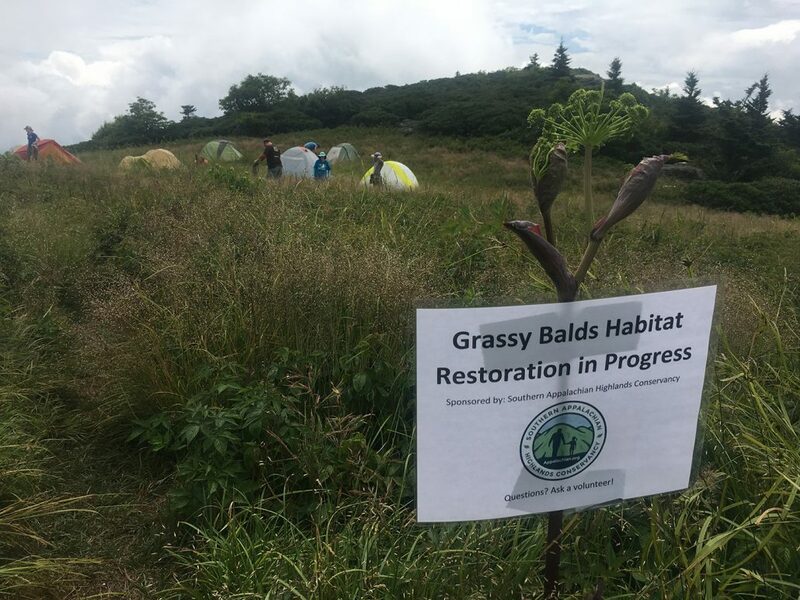 In addition to hauling equipment to Grassy Ridge and Engine Gap for our volunteer events, they cleared 3.5 acres of grassy bald habitat and maintained 1.76 acres of early successional habitat on our Roan Mountain Gateway preserve. 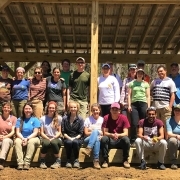 The BRIDGE (Building, Rehabilitating, Instructing, Developing, Growing, Employing) Program is a cooperative effort between the NC Forest Service and the NC Division of Prisons based out of Western Youth Institution in Morganton, NC. 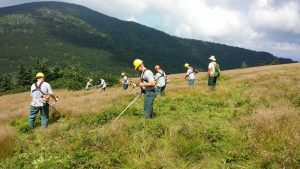 The primary goal of the program is to provide well-trained and equipped forest fire fighting crews ready at a moment’s notice. 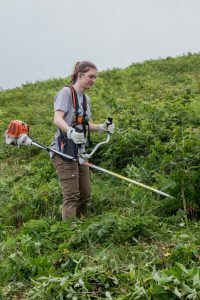 A secondary, but important, goal is to develop a strong work ethic and work skills so inmates will be able to secure a job when they are released. 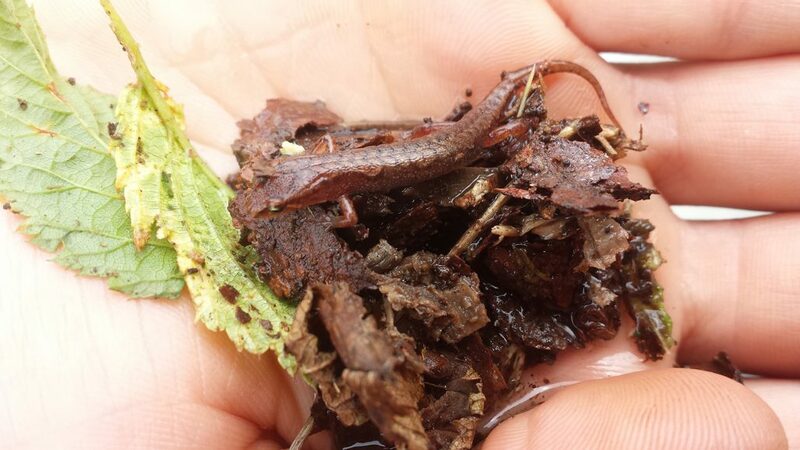 For more than 20 years, BRIDGE has been crucial to our habitat management work. 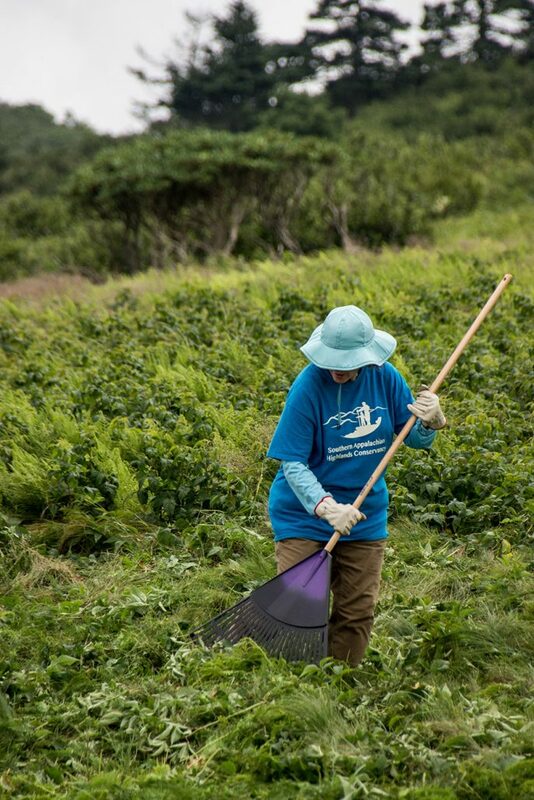 Every year, we are always privileged to witness the hard work, dedication, and professionalism exhibited by this crew.